Many of my clients have been happy to share their stories about our work together. I am glad to be a part of their journey. Enjoy! I first heard of Val from a deeply attuned friend who was having amazing breakthrough experiences in getting healing for her cat and also herself. I was intrigued and set up my own appointment. 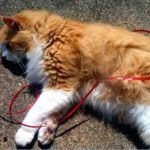 I have two cats, but I really wanted help for my 17-year old cat, Simba, the love of my life, who was experiencing a number of serious issues – hyperthyroidism, kidney problems, heart problems, digestive problems, mass in pancreas, teeth problems, etc. I had already gone to the Vet and was given a list of very toxic, expensive, and invasive treatment options. I just couldn’t bear to subject Simba to radioactive iodine, steroids, or chemo. I was very panicked when I first talked to Val. During the sessions I had with Val, I could not believe all of the journeys of healing that happened! Not only was Val able to communicate in such an intimate way with both of my cats (their unique personalities and traits clearly came through), she also taught me so much about the connection I shared with them at a very deep and multi-dimensional level. Val helped me wade through dietary, energetic, and alternative therapy options in such a masterful and mind-blowing way. For example, I had been trying tuning forks on Simba and when Val intuited the protocol that was most appropriate for Simba (which forks to use in which sequence, where on the body, and for how long), she actually gave me the exact protocol that I had learned in an intensive sound healing training program, which very few people even know about. I was even more humbled and in awe of her wisdom and insight with what Val did for me personally, healing past lifetimes and facilitating a really deep process to help me open and move into a more heart-centered place. I believe I was in tears and really resistant to that exercise that day, but I trusted Val and was ultimately grateful for her help in getting me through some painful emotional release that no therapist had ever succeeded in helping me with. Four months later, Simba is still with me and doing pretty well. I am so grateful for the extra time we have been given and how much closer our bond has become through these powerful and life-changing sessions with Val. My other cat, Tungsten, has also benefited greatly and even my mother who lives with me has received healing through some of our session work. It is no accident we have special and unique animal companions sharing our lives with us at this time. Every being on Earth is supporting each other’s mutual, higher expression and ultimate evolution. It is so beautiful to have this deeper connection with Earth through our four-leggeds. I will be forever grateful for having the opportunity to work with Val who so gracefully and expertly helped me to connect more deeply with my own beloved animals and the greater mystery of being part of the beautiful ecosystem of Earth. Wow, I am speechless at this continuing, amazing, mysterious, and magical work together. I have lots of love and gratitude for you! From Skeptic to Believer in One Weekend with Val! Someone told me that I could communicate with animals. I didn’t believe this was really possible for me but out of curiosity I thought, if this is true, I should pursue it further. I am an animal artist and thought this could be quite valuable to be able to communicate with my subjects as well as with my own dogs. 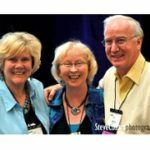 I invested in Val Heart’s Animal Communication Made Easy Home Study Course, and honestly, I went into the course as a skeptic. As I was nearing the last module of the Course, Val offered a Beginning Animal Communication Virtual Retreat. I took advantage of the opportunity to learn directly from Val and a group of other people also new to animal communication. I could not believe in just a weekend, Val had all of us really doing it! One of my dogs was chosen for the group communication exercise, and I could not believe how spot on everyone was from describing her favorite thing to do to her selective taste buds and her favorite treat. I also found myself getting crazy messages like a parrot that likes to “Surf”. Sure enough after disclosing this to the owner of the bird, she saw the bird with her wings extended out and bouncing up and down. She asked if she was surfing and the bird got all excited. I Found Out I CAN Talk to Animals, and You Can Too! From Fear Aggression, Hyper vigilance and Devastation to Playful, Happy and Loving! “To be honest, I’d always been hesitant to work with animal communicators, but when I met Val in person at a business networking event I was impressed by her caring, confidence and professionalism. So when my maturing Newfoundland puppy, River, began to display serious fear aggression–a problem I’d never encountered before in a lifetime of living with dogs–I decided to ask Val for help. I’d already tried training, socialization and desensitization. I’d been to an animal behaviorist and consulted all my savviest contacts in the dog world–trainers, veterinarians, breeders, friends. And still my dog was barking, growling and lunging at other dogs, and occasionally even people! It’s important to note also that River weighs well over a hundred pounds, most of it muscle. It was getting more and more difficult to control him. Would I even be able to keep him? Should he be put down? I was devastated and out of options. Because evidence indicated River’s issue was genetic, Val was honest with me that she couldn’t promise success, but she felt we definitely had a good chance of changing my troubled puppy’s behavior. Val first reminded me of pragmatic training principles I’d failed to enforce. Next, she helped River understand that his job is not to be constantly hypervigilant as he thought, but simply to make people happy. I’m delighted to say that after only three sessions with Val, River is truly a different dog! Evidently, he enjoys his new assignment! He no longer barks wildly at new people; instead, he runs up to greet them smiling, his tail wagging. Just like a normal dog! And he meets most new dogs with playful rather than aggressive interest. We are still working through a few hiccups, which Val says is normal, but everyone who’s known River can see the huge difference in his demeanor and sweeter personality. I sought out Val’s course as I have had some clients and friends seeking assistance with their pets and realized, to help those people further, I needed to know more about animal communication. I am an Australian professional psychic medium healer who has had to learn how to use and understand her gifts the hard way – a lot of learning, reading, doing courses, trust, confidence issues, etc. No supporting metaphysical family for me – if anything, just the opposite. I SO wish Val’s course was available earlier. I found this course very useful in defining the difference between psychic information and information from the animal, I also had many ‘ah-ha’ moments and ‘why didn’t the others just put it like that’ with regard to intuitive/psychic information. As with anything you learn, there has to be a lot of practice and trust to make that leap to hone your intuitive and telepathic abilities. Just the other day when I was in my backyard, the Australian bush, this lovely bird landed nearby. I thought, let’s give Val’s techniques a go – so I said ‘hello”, looking at me and unflinching, the bird said ‘hello’ back to me. I asked it what it was doing and it said “I am enjoying this beautiful day” – “what a beautiful day it is”. Clear as a bell I heard that little bird talk to me. I knew it wasn’t my mind chattering – this skill comes from a lot of practice and trust which are the keys here. We all have this ability – we just need to learn how to use it . Val’s course is very informative and insightful with many opportunities to interact with other students from across the world. If you feel drawn to developing your intuitive skills, than this course will assist you greatly. And if you want to help our furry friends as well, then you have found the right course. By the way, I got the home study course before the Animal Communication System Virtual Retreat started and I realized, I need to really sit down and pay attention as well – there is a lot of very useful and practical information in the home study course! You really should consider “rejigging” the basics and also marketing it as an Intuitive Course or something like that as there is GREAT informative material in there that can be hard to find when we’re developing our psychic abilities. Spending time talking to Val about my dog, Stella, turned out to be very enlightening and more productive than the many trips to the vet have ever been. causing my heart to fail (I’ve had 10 heart surgeries in the last 15 years), was making my relationships with my husband and son problematic, and was keeping me stuck in a job I’d come to hate. I wanted her help releasing old fears and energy that I knew was trapped inside but could not locate or clear with any of the other work I’d done. She helped me overcome the death of my mother, trauma from a major motor vehicle accident, subsequent surgeries and gave me the courage to leave a job where I was unhappy and unsatisfied. She taught me the beauty of laughter and allowed me to believe in myself once again. And, her long distance body talk sessions can’t be beat! While Val worked to help me clear my issuesshe opened new doors for my family and helped heal my animals who were also feeling my stress. I have used Animal Communicators regularly over the years. With Val you are getting more than an Animal Communicator. You are also getting an Animal/Medical Intuitive. Val said she felt like Abie was having a reaction to the routine vaccinations that he had received several months earlier and that his whole body was inflamed. Because of the arthritis, Val told me that Abie’s immune system was compromised and that he shouldn’t have received the vaccines. Before the session was over, Val gently used BodyTalk to help bring some quick relief to Abie. Two days after the session with Val, my husband called me at work and said he had found Abie sitting on our living room rug with our other cat Sylvia. Abie got up and walked from our bedroom into the living room to sit on his favorite wool rug by the couch. He would have had to walk a ways to get there. We’re amazed because the night before he was having a hard time even turning around. Amazed at How Fast I Can Communicate With My Dog After Only 2 Classes in the Animal Communication Made Easy System! 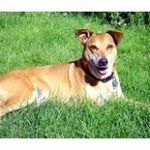 My senior dog companion Casey was experiencing serious health issues. My family members, friends and our vet were pressuring me to put him down… but I felt that it wasn’t Casey’s time to go yet. Before I made the decision to end Casey’s life, I turned to Val for help. She confirmed that Casey did still want to more time and Val was able to quickly and confidently get the information we needed to help treat Casey. I had used other animal communicators before. Val is different in that not only did she tell me Casey’s health condition and how he felt, she also gave me advice on how to help Casey heal. I like Val because of her ability to communicate with Casey but more so because she is a problem solver. She doesn’t just give me a report of what is wrong. Instead, she goes the distance to help the two of us heal and prepare for our journey ahead. I can sense Val’s love and compassion with animals during her session and I am really impressed by that. In fact, I am so impressed that I signed up for the Animal Communication Made Easy System to learn to communicate with Casey myself. I have taken other animal communication courses before but didn’t get very far, so I gave up. However, the consultation session with Val re-ignited the passion that I have for animal communication. My questions, concerns, doubts have been addressed, and I realize that I simply need to continue practicing and trust the process. I know that being able to communicate with animals will also help me with my Reiki work with animals. Feeling hopeful, and encouraged, I immediately practiced what Val taught me and within two lessons we were on the road to recovery and to a new partnership. I am amazed at how fast I can connect with Casey after only two classes! For instance, I was able to find out what caused the stress he was experiencing and where he had pain. It was an awesome experience. I have never felt more confident about my ability to communicate with all animals. I highly recommend Val to anyone who is thinking of using an animal communicator because she can truly bridge the gap between people and their animal companions. She not only tells you what the problem is, she also offers advice on how to overcome that so that you and you animal companion can start your healing journey together. With her insights, compassion and knowledge, Val introduces a whole new and better way to look at your life and the animals that share your life’s experience. If you are interested in learning how to communicate with animals, I highly recommended Val’s Animal Communication Made Easy System. I have been meditating for many years and I find the meditations Val included in this program to be very powerful. It will help you get to the quiet space where communion and communication takes place. The course is wonderful, well-researched and life changing. When I first contacted you, I was so worried about my furrkids, 1 senior dog Noah and 2 kitties. They all have health problems and I didn’t know how to best help them. I was also considering getting a younger dog because of his age, but I didn’t want him to think I was trying to replace him! He is my first dog ever and there will never be another Noah, he is my best friend. I’ve had my own significant health challenges and found myself stuck in fear about a coming move, but I didn’t know why. And while I knew about Noah’s major illnesses, I didn’t know about the nagging jaw pain and frequent headaches he was experiencing, until your communication with him. I was able to take that information to his doctors, who confirmed your findings and further addressed these issues. He’s much better now! Thank you for sharing your wisdom and for guiding me with such kindness, acceptance and insight. We’ve truly enjoyed and benefited from our sessions with you. We’re so grateful for the opportunity to work with you and look forward to talking with you again! I wanted to thank you so much for your help last week. When I first contacted you, I was terrified of losing my forever friend, Dusty. Others kept telling me to put her down but that didn’t feel right, so we were in desperate need of clarity and advice. I was so afraid I would fail my dear friend by making the wrong decision at the wrong time to end her life. I couldn’t stop crying. Our session with you was so amazing, and by the end, I felt lighthearted and at peace again. Dusty had perked up and was happily wagging her tail with a joyful, loving look on her face. Since then, Dusty and I have had a wonderful week. We have bonded and connected so strongly and when I look at her now, I just love her SO much and am so grateful that she is still here. I have still cried a few times, but not long and deep, and am mostly at peace and feel grateful and thankful for the love we share. Dusty has been mostly comfortable and even happy at times. Today she actually wanted to go in the car and we took the 3 min. drive down to the marina, and she even hopped out of the car and walked around for a little while – something she hasn’t done in a couple of weeks. So, today is an extra good day and I am happy and full of love. Thanks so much for your help – it completely shifted the energy. Knowing that you’re here listening to and speaking for our precious animal friends makes me a happier person. Yet there was never a fulfillment of hearing something back from all God’s precious creatures surrounding me. Now my heart is so deeply comforted to think of our animals having their messages voiced by such a loving deeply caring, highly intuitive person as yourself. Just knowing you are doing that gives me such joy. Who you are is making such a difference to me and so many others to create more love on the planet among all us creatures! What intense powerful sessions… each so full of meaning and healing and “aha” moments! I have learned a great deal and always feel so refreshed, peaceful and inspired afterward. Your assistance, healing and support while I work with my own health issues has been profound, life changing and therapeutic, especially with your guidance and wisdom to bring clarity to it all. I found what I learned from you during our sessions, and the healing process I go through is just what I needed. I feel a wonderful increase in my energy level and a profound sense of inner peace, calmness and acceptance, all precipitating a shift that is helping me to continue forward. It was so comforting to once again connect with my spirit dog Kalik and hear his thoughts and insights, and again be able to experience his humour! The work we did helped me even more to lift the residual sadness and, instead, feel greater joy and gratitude with having had him in my life. During the past few months I have been amazed – truly astounded – to learn how effective acupressure (AP) can be for my wonderful agility dog, Deli. Deli’s holistic vet suggested I try applying acupressure, in hopes of helping her through the post-ictal drunken stupor. To my surprise and delight, it did seem that her post-ictal confusion was shortened, in fact, it almost disappeared. But that’s only the half of it! For me, final proof came thanks to an incredible event one night when a second seizure tried to follow a Grand Mal that had left her body only moments before. She was still unconscious – a second seizure would represent her first “cluster” event in over a year. I was frantic not wanting her to suffer the terrible cluster activity. For 25 minutes I did AP, refusing to give up even when her head dropped and her neck muscles slowly contracted causing her head to begin an ugly twist to one side… I continued the AP, over, and over, and over…until, incredibly, and ever-so-slowly, the muscle spasm softened, then seeped away to nothing. No seizure occurred. How wonderful was that! If I was once a skeptic, I’m not any longer. I think it is absolutely amazing. Even if your animal doesn’t have seizures like my Deli, this is such a wonderful, gentle tool we can all learn to use to help relieve stress, illness and pain. From Fighting Biting Dogs to Bragging Rights! I just have to brag about our dogs Roxie and Gypsy today. As you’ll remember, when my husband and I first contacted you for help, it was because our dogs were becoming aggressively dangerous. We’d tried a number of things to resolve the problems, but it was getting worse. We were worried we might have to put one of our dear dogs down if we couldn’t find the solution quick. They’d go insane barking and trying to attack when anyone came over. That would escalate into bloody fights and bites, bloodying them and us when we tried to stop them. Well, I am delighted to report that we had the UPS guy drop off a box on our front porch this afternoon. I asked Gypsy and then Roxie to go to their “place” and they both did (Roxie needed a bit of encouragement). I then opened the door, brought in the box, and set it on the floor. In the mean time, they are both just sitting on their “place”. I asked Gypsy to “come” to sniff the box, which she did and walked away. I then asked Roxie to “come” to sniff the box, and she did. Without any barking or anxiety this whole time!! I know it sounds like a small thing, but I was so proud of my little girls! I personally value the way animals feel about me more than people. People are so fake and so fickle, and often even vicious, regardless of what they know of you or how you’ve been with them. Animals see who we really are. Instantaneously. I believe it was Greta Garbo that once said, “I’m glad not everyone likes me. I would think less of myself if they did.” That’s how I feel about people. I value how animals feel about me much more than how people do. Before I knew you, I had an ability to connect with cats, all cats, even those other people said wouldn’t come up to me or would run away. Cats know they can trust me. You’ve taught me how to extend the love I feel for cats and how to connect with them to other animals, even ones I was previously afraid of. You’ve helped me be able to walk around my neighborhood and interact with big scary dogs behind fences or on chains that bark crazily at other people, but who sit quietly and accept the love I have to offer them when I walk past their yard. I’ve been able to quietly and easily rescue the birds and other creatures my cats have brought in the house over the years. My animal life has been so magnified by you. 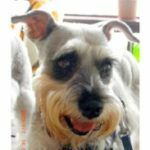 “When my beloved, 15 yr old cat, Buddy, became seriously ill and the veterinarian told me that he was in renal failure, I knew I really needed Val’s help. I had worked with Val before and received such great insights and comfort, but this was serious and I was scared. I didn’t know what to do. After talking with Val, I had such peace of heart and mind. Even though she confirmed my worst fear, that yes, he was dying; with her help I realized that death was nothing to be afraid of. We talked about death, and how in the end, he would like some help, and that meant I had to face my biggest fear of all – having him put to sleep. We talked about the dying process and what I could do for him to help ease the transition. It was O.K. now for me to let him go. Even in the final days of Buddy’s life when he quit eating and drinking and I became frightened again, Val continued to coach me through it and helped calm my troubled heart. She answered all my worried questions and fears. She didn’t let me down, she continued to love me through the whole experience with compassion and empathy. Val’s added insights helped me to face the fear, embrace it and enjoy the time I had left with my sweet cat, Buddy. Because of her guidance I was amazed that the whole process of Buddy’s death was so natural and peaceful. It was a joyous life experience to be lived and not a terrible grieving process to be endured. Significant Improvement in Dogs Behavior – No More Dead Ducklings! Our dogs were attacking our baby ducks and no amount of talking, telecommunicating, discipline, or reprimand was solving the problem. I have had a lifetime of dealing with animals, and many called me ‘Dr. O-Little’ (riffing off my last name) or a pet shrink, but in fact I had a lot to learn. Val educated my husband and me, after chatting with our dogs, to the fact that we were not giving them enough to do. I had thought that letting them do what they pleased instead of conforming to my commands or requests for tricks was respecting their autonomy, as their work was to guard the property. I had not understood that in fact they want to perform, to show off their intelligence and willingness to do what we ask. We also were allowing the alpha male to be disobedient on occasions we didn’t know how to deal with (e.g., not coming when called, on a large property where chasing him down is not feasible). The guard dog, she also revealed, had severe anxieties about having been abandoned as a puppy (both are rescued animals), and was obsessively ‘over-mothering’ the ducklings to the point of injuring or killing them. After a few sessions, Val was able to get them –and us—to rethink their (and our) behaviors and approach with great success. I cannot even begin to enumerate the ways you have helped, guided and blessed me and my fur-babies over the last 14 years!! THANK YOU is an understatement. 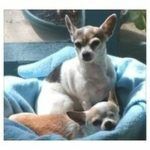 Because of my extensive work with animal rescue, 9 years ago I saved a little Chihuahua named Pepe from an abusive situation. Because of the success of our work together in so many other cases like this one and with my other animals too, I immediately sought your council and healing work for him. It hurts me that he had to lose an eye in order to find his way to me but I am SO very grateful that I did not miss the opportunity to experience this wonderful Spirit in the flesh. As he settled in to the safety, love, companionship and good food of our home, his true self began to emerge. I started calling him Pepe Lama — because his precious Spirit reminded me of the Dalai Lama! Peaceful, wise, strong and loving. 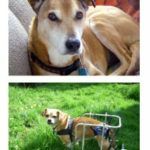 When he was diagnosed with a heart murmur and slightly enlarged heart 3 1/2 years ago, I realized that he probably would not live to his potential life expectancy for a Chihuahua. And on Dec. 23, 2010, my precious Pepe went back to God. I am without doubt that your BodyTalk healing sessions and communications with him extended his earthly life and helped him to understand what was going on. I am also without doubt that he was not ready to leave us but his vessel just could not continue to sustain his earthly life any longer. I know this because over the years you have guided me and taught me to hone my communication skills. To have him guide me through the burial of his earthly vessel and still be able to communicate with him and feel his presence are great comforts. The one truth that has emerged is that LOVE IS ALL. I am forever changed because of Pepe’s presence in my life. In great part because of YOU, I reached the point where the joy of love is greater than the pain of losing his earthly body. Thank You! Before my session with Val I was still filled with immeasurable grief experienced with the loss of my forever dog, Kalik. Even though it had been six months since his transition into spirit, I had trouble connecting with him and still was feeling empty and without purpose not having him beside me in physical form. I had lost all interest in moving forward in life, as he was my reason for being. My search for answers, peace and closure led me on a journey that brought me in touch with Val and the wonderful world of animal communication. During my session, Val helped me work though the grief, connect with my special dog and talk to him through her. She helped me to address my concerns and worries about him during his illness, and in the after life, and to know that he was happy and still with me in spirit. Val helped me to learn how to further deepen my relationship with him. With Val’s help I was able to remove the barriers that kept me from connecting with Kalik and to finally know and feel he is still with me. During the session, I could feel Kalik’s joyful energy and spirit surrounding me, and I was able to release the crippling grief that kept me from moving forward…my session with Val was truly life changing. I still miss Kalik’s physical presence of course, but I now feel connected with him in spirit and I know he is there beside me guiding me on my path. I feel capable now of continuing on, knowing we have a spiritual journey together ahead of us. Words cannot express how grateful I am for Val’s guidance and assistance. I would recommend Val’s work to anyone who is experiencing the enormous grief that engulfs us when it is time for our animal companions to continue on their spiritual journey. Animal Communication Made Easy Course Really Inspired and Encouraged Me! I just wanted to take a moment to sincerely Thank You for your wonderful home study course. I have completed it, and it has been extremely helpful. It has re-ignited the ongoing passion that I have had for animal communication for the last several years. My questions, concerns, doubts have been addressed, and I realize that I simply need to continue practicing a great deal and feeling confident about my process. Your course is wonderful, and incredibly well-researched and presented. I just wanted to compliment you on this. I’ve read just about every book on this subject that exists and have studied with a couple of other communicators, and I very much appreciate all that you have put into your course – content, organization and INSPIRATION. My “day job” has made it very difficult for me to get away to live workshops or scheduled teleclasses, so this was perfect for me. I plan one day to be able to focus a great deal more time and energy on this type of communication – for now I practice as much as I can with the animal companions of friends, family, friends-of-friends, etc. Thank you again, and I wish you all the best! – Patrice B.
Q: Why did you decide to use Val’s services as an animal communicator? 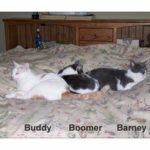 Lori: My cat, Barney, had to have 4 teeth pulled. But a few days after the extractions, he was howling out in pain. I brought him back to the vet several times and ran all kinds of tests and no one could figure out what was the problem. I had known about Val for a long time and had never used her services, but I was out of options and decided to give her a try. She was expensive, but the vet bills and tests were getting expensive too. Q: Tell me about your experience. Was it positive? Negative? Have you seen any differences in your animal? Lori: I found out right away that Barney didn’t have anything physically wrong other than the normal healing from his teeth extractions. She told me that Barney had a frightening experience at the vet when he was under anesthesia. It sounds weird, but she sensed another animal that had died was not completely ready to “cross over” and was trying to take over Barney. She worked with the other animal to move on and to help Barney be free of that spirit. She also did some healing work with Barney and he was noticeably better after the session. Prior to the session with Val, he was hiding under the couch or in the closet, not eating well, and occasionally howling out in pain. She suggested some homeopathy formulas to give him after the work she did with him and after a couple of weeks, he was pretty much his old self again. Had I gone to her before all those vet visits and tests, I could have saved several hundred dollars as well as the worry that there was something seriously wrong with Barney. I honestly wondered for a brief time if Barney would ever get better. Q: Would you use Val again? Q: What do you think animal communicators, specifically Val, could do that other experts can’t do? A: She can definitely find out what an animal thinks and wants to express that no vet can tell you. She can give them a voice. Q: What was something you learned about animal communicators you had never learned before? Lori: I didn’t even know they existed until I heard of Val. I’m sure there are some out there that are scams, but my experience with Val has been very helpful. Q: Is there anything you would do differently in the future? Lori: Although I believe in proper health care and am not against vets, I would consult with Val if I have anymore issues with my cats that I cannot diagnose on my own before spending a lot of money and stress on my animals at the vet. I also want to pursue her course in animal communication to learn to do this myself. I had been interested in the past but never did it because I didn’t know if she was “for real” until now. Although I am not glad that my Barney had to go through so much difficulty with his teeth extractions and afterward, it has been a rewarding experience to meet Val. Learning Animal Communication Helps with Her Cat’s Behavior! “What an eye opener it was to read the 10 Most Serious Mistakes!! I found it very informative & helpful in ways I had never thought about before. Wow, I thought I knew a lot about animals!! Have I got a lot to learn & now I believe I’m on the right path. I’m blessed to have found you & I can’t wait to learn as much as possible! I have always wanted to study animal behavior & learn how to communicate with them & have several times searched the internet, asked my Vet, & other animal people “in the know” but have never got the answers I was looking for. Then all of a sudden I search the web again & there you were! 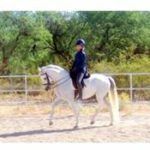 Horse Owner’s Health Improves – Able to Keep Her Horse! With your help I was able to see what I was doing instead of thinking I needed to fix her. You gave me clear directions and encouraged me to experiment with different behaviors. You helped me balance my emotions, calming myself first so that Kati can be calm. Our walks are more pleasant, she calms down when I ask her to, and she alerts me when it�s necessary. My relationship with Kati has reached a level beyond simple obedience training. You�ve made it possible for us to experience a sweet cooperation that will only grow richer. J.D. Kotrla-Chipps, The Buffalo Man, Round Rock, Texas — Happier, and healthier now. Getting Closure After Death of Much Loved Cat! “Cosmo was as close to a soul mate as a cat could possibly be. We bonded deeply in the months after I rescued him as we worked together to get him off insulin. We were successful after 9 months. Cosmo was eight years old (best guess) when he died and I had him for almost 7 years. His death was sudden, violent and he was missing for 9 days before my neighbor told me he found his body. I never saw Cosmo after he died, as my neighbor had already buried him before telling me, but from the description, it sounded like a raccoon killed him. He wasn’t allowed outside at night, so this tragedy occurred when it was still daylight. The circumstances of his death were about as traumatic as they could possibly be, and not seeing him after he died made closure even more difficult. The closure session I did with Val and Cosmo was such an important healing experience and it really helped me cope with his loss. One of the things I liked about it was saying goodbye to both the good and bad things. As much as I loved Cosmo, he did have some bad habits. It helped to deal with the complete picture, instead of whitewashing things and turning him into a kitty saint. The process of preparing for the session was important too, because I really thought about Cosmo and reviewed our time together. Even though I talked to Cosmo frequently when he was alive, and always told him how much I loved him, it was important to be able to say that one more time. Overcoming Bad Dog Behavior – We Are a Team Again! “I was at my wits end, struggling with my dog’s out of control behavior. I’d tried everything I could think of, and since I am a dog trainer and compete with my dogs, that’s saying a LOT! But, nothing was working so I decided to give Val a call. I was so amazed! “I am very pleased to report that my horse, Zoie, who had a serious case of EPM has made a full recovery! Her vet is writing her up as a Miracle! She just had a follow up with her chiropracter and he was completely pleased at her progress. He felt she had turned a significant corner, and said he thought he was observing a different horse! I am now riding her again. We started working with Val for our minature schnauzer, Heidi. Heidi had severe anxiety during thunderstorms and more importantly serious biting problems. From a young age she snapped at strangers and occasionally us, and we were very worried about her attacking children. It was getting to the point of questioning whether we still wanted to keep her. This was very distressing, because we are very attached to her. Also, walking with Heidi had become a nightmare — extremely stressful for all of us until we dreaded taking her out! If she saw another person or dog, she’d go nuts and we were terrified she’d get in a bad fight. Now, our walks are uneventful — which means Good! After we worked with Val, we went out and encountered a daschund that day. Heidi ran about half way to her, then stopped and turned around to come back to us! So it went very well, just like we’d asked her to do. ” didn’t think anything could help and I was at the end of my rope, ready to give my cat away. I just couldn’t take it anymore. Val would love for you to be her next Success Story!